DESCRIPTION ***OPEN HOUSE SUN APRIL 7TH 12:00-2:45PM*** VERY NEAT AND WEL KEPT JAYMAN BUILT 1938 SQ.FT. HOME IN THE MOST DESIRABLE COMMUNITY OF RESTONE. YOU ARE IMMEDIATELY WELCOMED TO A BEAUTIFUL OPEN FOYER COMPLIMENTED WITH TILE THAT EXTENDS INTO A SPACIOUS MUD ROOM,WALK THRU THE OPEN GREAT ROOM WHICH LEADS YOU INTO A STUNNING KITCHEN FEATURING GRANITE COUNTER,PENINSULA ISLAND WITH PENDANT LIGHTING,FLUSH SNACK BAR OVERLOOKING THE GENEROUS BREAKFAST NOOK AND UPGRADED STAINLESS STEEL APPLIANCES,GLASS TOP RANGE AND BUILT-IN MICROWAVE.OPEN TO ABOVE STAIRCASE.12.5X10 WOODEN DECK.UPPER LEVEL WITH 3 GOOD SIZE BEDROOMS,MASTER WITH WALK-IN CLOSET ,DOUBLE SINK,SOAKER TUB AND SEPARATE SHOWER.HUGE BONUS ROOM ON UPPER LEVEL IN THE FRONT,FULLY FINISHED BASEMENT WITH A HUGE REC ROOM,FULL BATHS AND COUNTER FOR THE BAR,LOTS OF STORAGE,DOUBLE FRONT ATTACHED GARAGE,CLOST TO BUS,FUTURE SCHOOL-SIGHT,SHOPPING,CROSS-IRON MALL AND ALL MAJOR ROUTES.VERY EASY TO SHOW,SHOWS EXCELLENT.A MUST TO SEE. Home for sale at 17 Redstone RD Ne Calgary, Alberts t3n 0m3. 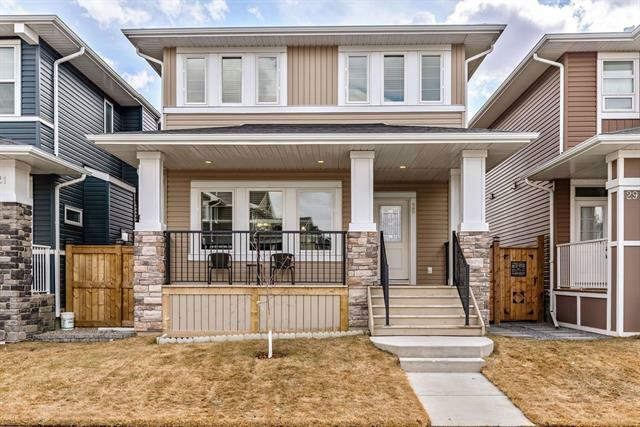 Description: The home at 17 Redstone RD Ne Calgary, Alberta t3n 0m3 with the MLS® Number C4236806 is currently listed at $524,900.